Tracking business expenses is essential for staying profitable and predicting future income and expenses. Whether you’re doing the analysis or leaving that to your financial person, it’s important to know what’s going on with the finances of your business. 1. Compare the budgeted numbers to the actual numbers. 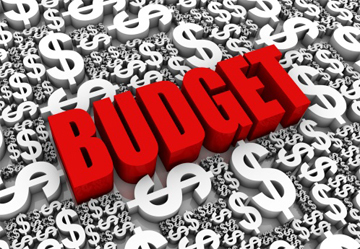 If you don’t have a budget, create one based on past years’ data and soldier on from there. Knowing what you plan to make and spend over a year’s time and tracking that plan against actual spending month by month is very helpful in forecasting what lies ahead and how to fix it. 2. Analyze the income statement. Accounting software (such as QuickBooks) provides a report of operating expenses called the Profit & Loss Statement or Income Statement. Compare the operating expense figures to last month, last quarter, the average of the last three months, average year to date, and the same month last year. By doing this, expense trends can be identified making it easier to see if a particular expense has increased. This provides the chance to find out what’s happening before it gets out of control. 3. Understand the business’ fixed and variable costs. You’ll always have an electric bill, but maybe you only have to buy milk for your ice cream business in the spring and summer months (since ice cream sales are zip in the winter). This is the difference between fixed and variable costs. Fixed costs are always there, whether you have income or not—variable costs depend on the amount you’re selling. This is the volume of sales needed to cover all costs. A breakeven point can be determined once the variable and fixed costs for the business are known. To have a strong and successful business it is imperative to have a clear understanding of the financial impact that the most basic business decisions have. Analyzing business expenses is critical to making informed and profitable decisions for your business’ future. This entry was posted in Budgeting, Information, Quickbooks, Saving money, Tax Time Prep. Bookmark the permalink.